Sparkle Me Pink: The Liebster Award ! 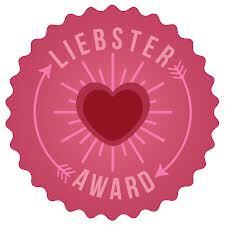 The Liebster award is passed on through bloggers with under 200 GFC followers and helps to promote their blogs. 2. Once nominated, you must write 11 random facts about yourself. 2. Do you like to bake? 3. Who is your hero or who do you admire? Anytime it is not 120 degrees !! 11. What product can't you live without? Do you eat breakfast ? What states have you been to ? Are you a flip flop or sneaker lover ? How many nail polishes do you own ? Have you ever been on a tropical vacation or cruise ? Are you a lip stick or lip gloss lover ? You sound a lot like me! I am from NY too. I have lived her all my life. I love to bake, and as far as sweets go, I have never found one I didn't love! I made Tiramisu for my daughter's birthday. Nice ! I am from the Hudson Valley ... no where too cool. ahhh I dream of tiramisu ! Thank you for the nomination Michelle, I have done it once before and have been nomited again,twice in 24hrs so I will answer yours and the other one in one post :) Thank you again!